Small mushrooms common in landscaped areas, in lawns and from soil and tree litter duff, they are saprobes that decompose forest duff. They make white spore prints. Caps are convex young flattening out with age, dry and rosy pink young to pinkish brown over the centre in age and coated with a wooly or granular looking layer that breaks up into crowded scales over the white background as the caps expand. The shape is often uneven and the cap edge may be somewhat undulating. Flesh is white but staining pinkish where bruised or damaged. The odour is rather sharp and unpleasant. 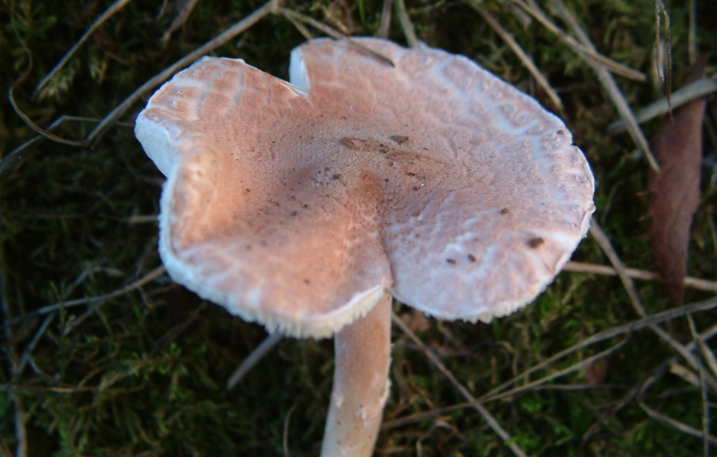 Gills white, moderately spaced and free from the stem, staining faintly pinkish when bruised or damaged. Stems 2 to 6 cm long and 2 to 5 mm wide, with a faint zone of whitish veil fragments in the middle or toward the upper portion above which the surface is white, below the veil zone often with pinkish flush and with scattered whitish veil scraps near the base which is slightly expanded but without a bulb. Stem hollow and rather fragile, flesh whitish staining pinkish. Microscopic: Spores are 5-6 x 3 microns, elliptic, smooth, thick-walled and hyaline without a germ pore, dextrinoid (pale rusty-brown in Melzers iodine solution). On October 16 1988 a 56 year-old man ate mushrooms picked from his lawn in New Westminster in a breakfast omelette, believing they were Fairy-ring mushrooms. They were later identified as Lepiota subincarnata. 13 hours later the man began to experience abdominal pain, severe vomiting and leg cramps. The following day he was admitted to hospital and by October 18, or two days after ingestion, his condition appeared to have improved though tests indicated that liver damage was occurring. The following day the patient experienced nausea, abdominal pain, vomiting and occasional diarrhea. His condition began to deteriorate on October 20, four days post-ingestion, and he lost consciousness on October 22. He was placed on life support October 23 after renal and hepatic failure. He died October 25, nine days after eating the mushrooms. Willis, Gillian A. 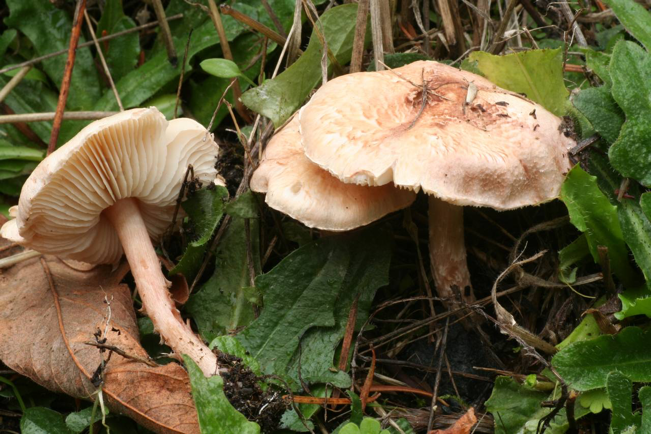 1989 Mushroom poisoning – a case report, B.C. BC Health and Disease Surveillance 10 (2) pp. 22-23.